With Press Club having already risen way out of Australia’s underground punk scene, to become one of the country’s buzziest new bands, today they are sharing their new single ‘Suburbia’, as well as news of a swathe of highly anticipated UK tour dates for Spring 2019. Where previous single ‘Headwreck’ was a dizzying two and a half minutes of frenetic, raw, self-assured and commanding punk – which drew high-praise from Kerrang!, Jack Saunders and Dan P Carter - ‘Suburbia’ takes its time, easing its way into an uproarious chorus that stays with you long after the final chord has rung out. Watch the video for Suburbia here. UK audiences will get the chance to see the band for the first time – and find out just why they’ve previously been handpicked to support to the likes of Japandroids, Joyce Manor, Cloud Nothings and Dream Wife in Australia – on the below dates. The debut album Late Teens is released Jan 25th via Hassle Records. ‘Late Teens’ is what happens when four Melbourne musicians come together to create a body of work entirely devoid of outside inﬂuence, being answerable to only themselves. Over six weeks, bassist Iain MacRae’s house was converted into a temporary song-writing sweatshop where the band wrote forty songs that were distilled into the dozen that make up the track list on Late Teens. Relying upon the experiences of their friends and people they know as subject matter, Late Teens thematically approaches displacement, relationships, internal turmoil, gentriﬁcation and inequality. Press Club is the musical embodiment of the attitude of a generation experiencing impermanence in every way. Following the release of their new album 'Amends', Active Bird Community have announced a short run of UK tour dates with Slothrust for January 2019. Recently signed to Barsuk (Death Cab For Cutie, Charly Bliss, Rilo Kiley and more), the band -- who have been playing together since middle school -- have previously toured with the likes of Cymbals Eat Guitars, We Were Promised Jetpacks and more, and have already seen significant support from the likes of Billboard, Stereogum, Consequence of Sound, Audiotree and more for their distinct brand of indie-rock. There’s lyrical depth to their output and their music is brutally honest, but not without being completely infectious. “In the simplest of terms, Amends is a record about forgiveness,” says Tom D’Agustino, one of the singers and primary songwriters of the Brooklyn-based band Active Bird Community. “Forgiving your parents for splitting up, forgiving your friends for not always understanding you, learning to forgive yourself.” The band’s forthcoming album, Amends, dwells in the intricacies of relationships — broken bonds between friends, family, and lovers — and hoping to heal. In Hastings-on-Hudson, a small town just north of New York City, the band’s founding members — D’Agustino, co-songwriter/lead guitarist Andrew Wolfson, and bassist Zach Slater — were three teenagers without direction. Long summers were spent learning how to write and perform songs, and how to communicate complex emotions, which at such a young age brought the friends closer and closer together. “I think starting the band was almost a symbol of our friendship,” says D’Agustino. “I think we wanted to build something together.” Active Bird Community became an exciting new world for them to explore, a home to run away to whenever life got too confusing, too difficult to navigate. They didn’t expect the band to last through high school, so when it did, they had to choose: separate and head off to different colleges, or stay together and see where the band could go. 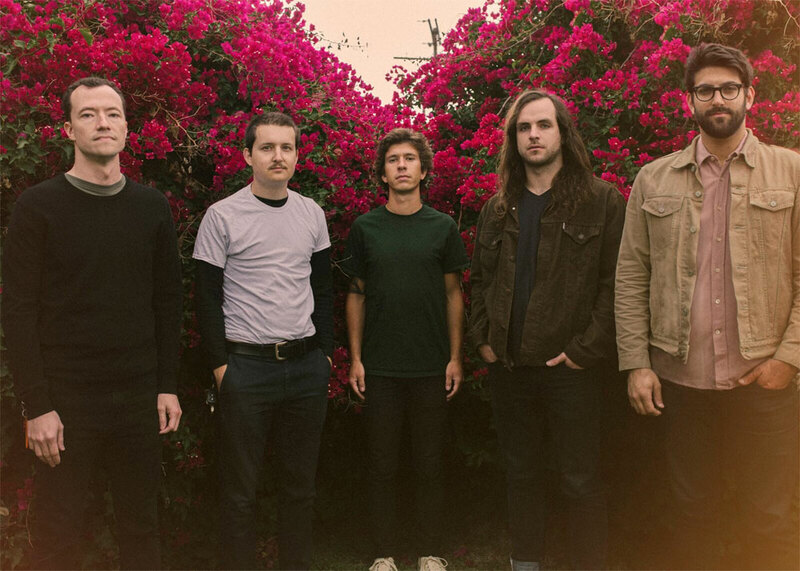 They chose both, and with the addition of Quinn McGovern on drums, Active Bird Community’s lineup was finalised. In the years since, as its members made their way through young adulthood and graduated college, the band has self-released three albums: the scrappy, lo-fi Magnum Opus, the tender garage-rock assemblage I’ve Been Going Swimming (2015), and their most recent release, the anthemic Stick Around (2017). They’ve cultivated a dynamic live show that’s fortified by a collective chemistry only possible from years of friendship. Active Bird Community is finely-tuned and musically tight — their earnestness and kinetic enthusiasm is wholly contagious, and still evident despite their advanced age of…24. And now, they’ve returned with Amends — their Barsuk Records debut and perhaps their most deeply felt album to date. Take the title track — a driving, bittersweet song that feels sonically indebted to bands like Built to Spill, and fraught with the tension of family, loss, and learning to move on without resentment. Later there’s “Unwind With Me,” a breakup song that feels like it’s as much of a condemnation of the singer as a lamentation for failed love. “I’m unraveling everything, I need it slower than before, I need to call somebody more,” D’Agustino sings, refusing to skirt around his own culpability. There’s the McGovern-penned track “Downstairs,” a song about formless anxiety that begins delicately then gradually swells into a wall of guitar. “Silver Screen,” meanwhile, is a glowing vision of life ascending, how Wolfson imagines the future could be. To celebrate the release of the IDLES and Heavy Lungs split 7” single, Heavy Lungs have revealed a brand new video to accompany their track 'Blood Brother', a reference to their front man's close relationship with Joe Talbot. IDLES return the favour with their anthem ‘Danny Nedelko’, a direct reference to the Heavy Lungs singer of the same name. Watch Heavy Lungs ‘Blood Brother’ video on YouTube. Following their support role for IDLES' sold out UK tour last month, Heavy Lungs have their own headline UK tour early next year. "The lyrics are very potent and speak candidly about the love, devotion, and commitment that occur in friendship - specifically referring to Danny’s relationship with Joe. I wanted this video to represent these feelings in a more literal and physical sense. I also wanted it to be fun. I don’t come from a music video background, and I find the traditional idea of just watching a band play for three and a half minutes boring and artificial. This was about having fun, and I really hope that translates to anyone watching." March 2019 sees the Lene Lovich Band taking to the road to celebrate the 40th anniversary of Lene's classic debut album ‘Stateless’. Containing the smash hit ‘Lucky Number’ and other perennial Lene favourites including ‘Home’, ‘Say When’, ‘I Think We're Alone Now’ and the celebrated ballad ‘Too Tender to Touch’, ‘Stateless’ was an immediate success when it was first released by cult post-punk label Stiff Records, and has held it's place in fans' affections for four decades. 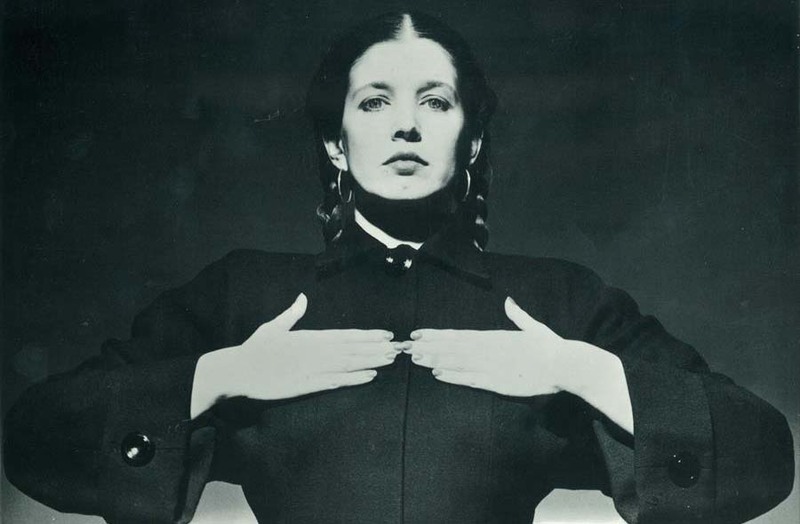 Lene Lovich’s work spent over four and a half months in the Top 40 charts after the release of her debut album in 1978 in the UK and 1979 in the US. The tour will be fans' only chance to catch ‘Stateless’ performed in it's entirety. The show also includes other Lene favourites, such as the Thomas Dolby-penned hit ‘New Toy’, as well as a handful of songs from Lene's highly regarded second album ‘Flex’. Listen to ‘Lucky Number’ here. “It is incredibly flattering to know that people are still interested in Stateless after all these years. And it is always humbling to learn what it has meant to people on a personal level. We all have music which becomes the soundtrack to our lives, and to know that people are still listening is the highest compliment that you can ever be paid as an artist and a performer. The Lene Lovich Band were formed in 2012 by Lene and guitarist Jude Rawlins and have been performing across Europe to much acclaim ever since. The Stateless 40th Anniversary Tour kicks off in the UK in March of 2019 and sees the band performing across the country for the first time since appearing as special guests of the Psychedelic Furs in 2017. A new version of ‘Stateless’ is currently being recorded by the band and will be released to tie in with the tour, marking Lene's return to the studio after a 13 year hiatus. Lene Lovich was born Lili-Marlene Premilovich in Detroit, Michigan, to an English mother and an American father of Yugoslavian descent. At age 13 her father developed health problems and so the family relocated to Hull, England. Later on she began to perform in cabaret clubs in London as a dancer, recorded screams for Hammer Film Productions to dub onto their horror-films, wrote lyrics for French disco artist Marc Cerrone (including the sci-fi dance hit ‘Supernature’) and worked in various theatre productions. After finding her feet in the post-punk and new wave developing in the UK, Lovich's musical style combined her own quirky inventions with contemporary punk rock and new wave styles. 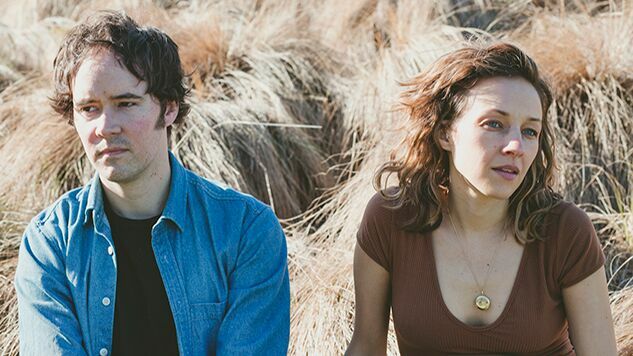 Watch Mandolin Orange ‘Golden Embers’ video on YouTube. As a thesis of the new LP and an encapsulation of Andrew Marlin and Emily Frantz’s patiently expressive work, the piece accompanies news of a headlining tour in Europe and the UK in May 2019. Stops will include London, Berlin, Amsterdam, Paris, Munich and more - find all new dates here. Tickets are on sale this Friday, November 30th – following a Music Glue pre-sale on November 29th. Watch a live rendition of lead single 'Time We Made Time'. After a wrapping up sell-out UK and US tours, IDLES have confirmed a 2019 world tour, headlining their biggest venues yet. The run will include two London headliners at The Electric Ballroom and their first ever run of dates in Australia. Tickets go on public sale this Friday Nov 9th at 10am local time, with tickets available at here. The band won Best Breakthrough at the Q Awards last month following their Jools Holland debut which NME called “history in the making…incomparably brilliant,” likening it to Arctic Monkeys and Kanye West's first appearances on the show. Watch here. La Blogothèque also just filmed the band performing a couple ‘Joy’ standouts, watch them do stripped down versions of ‘I’m Scum’ and ‘Gram Rock’. “This album announces IDLES as one of the most exhilarating and necessary punk bands of right now.” - Kerrang! The Joy Formidable’s new album ‘AAARTH’ has keenly shone the spotlight back onto the Welsh alt-rock trio. An album packed with inventive and emotive rallying cries, born from a place of renewed vision, ‘AAARTH’ has become their most experimental work to date, and among their most heralded. 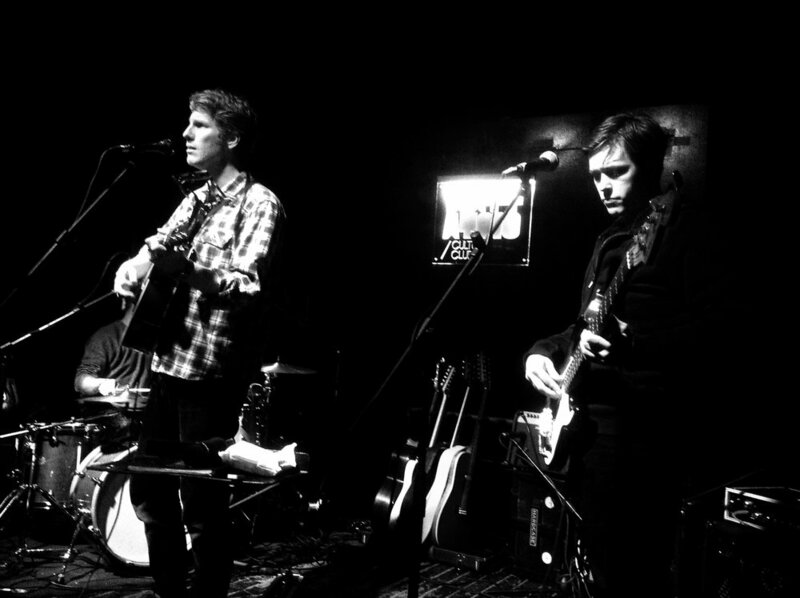 As their live outings in support of the new album got underway in the summer – with main stage appearances at Reading & Leeds Festival, a sold-out show at The Lexington, followed by extensive touring in support of Foo Fighters through the US and Canada – their latest material has been connecting with fans old and new, and is turning into a defining record in the band’s already storied career. Three huge singles - ‘Dance of The Lotu’, ‘The Wrong Side’, and ‘The Better Me’ – have picked up airplay across BBC Radio 1 and BBC 6 Music too. Watch the video for latest single ‘The Better Me’ here. Never ones to sit still for long, the band are already plotting an extended return to UK venues and have confirmed their first full UK tour of the album through Feb 2019. Tickets will be on sale on Weds 24th Oct from 10am at the band’s website here. They will bring their magnetic live show to the following cities. Listen to new album ‘AAARTH’ here. The Hold Steady have also just unveiled plans to join Frank Turner at his upcoming LOST EVENINGS III festival, serving as special guest at Boston, MA’s House of Blues on Friday, May 17. Tickets for LOST EVENINGS III are available here. That same weekend will also see The Hold Steady hitting the tri-state area for a pair of additional live dates, set for Jersey City, NJ’s White Eagle Hall on Thursday, May 16 and Hamden, CT’s Space Ballroom on Saturday, May 18. Tickets for these shows will go on sale November 2. For complete details and ticket information, please see here. Last, but certainly not least, The Hold Steady is currently getting ready for the third annual MASSIVE NIGHTS celebration, set for Brooklyn, NY’s Brooklyn Bowl on November 28 through December 1. Friday, November 30 and Saturday, December 1 are already sold out; limited tickets for Wednesday, November 28 and Thursday, November 29 remain and are available now here. IDLES have announced an art exhibition to celebrate the release of their second album 'Joy as an Act of Resistance' out on Partisan Records. Pre-order the album here. The gallery will be free entry and artwork on display available to buy, with all proceeds going to the Samaritans charity. Watch the IDLES gallery video here. Last week the band shared further new material in a searing takedown of toxic masculinity entitled 'Samaritans'. A live favourite for sometime, the Theo Watkins directed music video compiles archival clips displaying traditional masculine imagery. The FADER writes: ""The mask of masculinity is a mask that's wearing me," sings front man Joe Talbot over the top of a tight and anxiety-laced guitar riff. It's the third single... and one of their most confrontational songs to date." Listen/watch here and feel free to share. Watch the video for album opener 'Colossus' here. This autumn, IDLES will embark on their first ever global tour, including their biggest London headliner yet at O2 Forum Kentish Town on 18th October. Their last London headliner, at Heaven, sold out nearly six months in front. Tickets are on sale now here. Watch the video for pro-immigration anthem and current single 'Danny Nedelko' here. Due to the huge success of their Spring UK tour, Gomez will be returning this August and September to celebrate the 20th Anniversary of their Mercury Prize winning record 'Bring It On'. UMC have also released a super deluxe box set containing: 35 previously unreleased tracks. The collection features 25 demos & 13 songs never released in any form by Gomez, including covers of Neil Young’s “Unknown Legend” and “T-Bone Walker’s Mean Old World” plus the band’s 1998 Glastonbury performance and BBC sessions. Package includes a 10,000-word essay by journalist Paul Stokes, with new interviews with the band and those close to them. Red & Yellow coloured vinyl edition are available + Standard black vinyl edition both in gatefold packaging. U.K. fans - For sold out shows, please note that Gomez have appointed Twickets as their official ticket resale partner. Twickets enables fans to trade tickets for gigs at face value and helps fans avoid exploitation and overpricing on secondary ticketing platforms. To commemorate the 20th anniversary of Gomez’s Mercury Music Prize winning debut album, Bring It On has been re-mastered and reissued as a super-deluxe 4CD with an accompanying remastered double LP release. The 4CD 20th Anniversary edition of 'Bring It On' contains the original, classic album remastered by Frank Arkwright @ Abbey Road studios and 35 previously unreleased tracks including 25 demos (recorded between January 1996 and August 1997) - 13 of which are appearing on an official Gomez release for the first time. The band have played the album in its entirety this Spring on their UK & Ireland tour, then going on to Australian and US dates. Twenty years on, the debut album by Gomez sounds not of its time, but ahead of its time. You can hear its echoes in so much of the music that followed it: not just in Elbow, but in any artist who heard Bring it On and realised the possibilities of combining indie and roots music with lo-fidelity electronics: a modern experimental sensibility with a love of the past. 'Bring It On' was an album that synthesised styles in a way that seemed remarkable then, and now sounds utterly unforced and contemporary. Where so many of its contemporaries sound completely of their time, Bring It On sounds as if it could have come out to equal acclaim at any point over the past 20 years. It’s a record that thoroughly merits its expanded 20th anniversary edition. 'Bring it On' sounds as if it's been made by kids who’ve been exploring the outer expanses of Spotify, scouring it for unlikely sources, rather than four lads in a Southport garage, and the fella they met at university. Though, in a way, 'Bring It On' is the pre-streaming version of that very process, bringing together all the five members’ tastes, without ever allowing one style to dominate. You can hear their love of so much different music: Tom Waits, Tim Buckley, Prince, Talking Heads, Johnny Cash, Portishead, The Chemical Brothers, Led Zeppelin, Neil Young, jazz and folk and indie and the West Coast and classic rock. Between them, Ian Ball, Ben Ottewell, Tom Gray, Paul Blackburn and Olly Peacock created something that was far more than the sum of its parts. The spectacular results had an immediate impact and influence, Chris Martin admired 'Bring It On' so much that Coldplay hired Ken Nelson to produce their first album (he went on to produce three for them). Indeed, without some of Gomez’s freewheeling influence, it's much harder to imagine the British music scene making a comfortable home for the innovating likes of Alt-J, Everything Everything & Field Music, or across the pond where subsequent harmony bands blending indie, antifolk and art rock have thrived. 'Bring It On' went on to win 1998’s Mercury Music Prize, beating Pulp, Massive Attack, Cornershop and The Verve, the judges describing the album as "an intriguing blend of swamp blues, bar-room rock and eerie power". 'Bring It On' remains the album Gomez are best known for in the UK, but it was only the starting point for a spectacular career. The band built audiences internationally, especially in the US and Australia. In the States, in particular, Gomez have become bigger and bigger, with their two most recent albums, 'A New Tide' (2009) and 'Whatever’s on Your Mind' (2011), becoming the highest-charting records of their career. But 'Bring It On' remains the landmark: The introduction to their singular nature. Hence the deluxe reissue. Hence the anniversary tour in the Spring on which many of the shows – including an appearance at the Royal Albert Hall – sold out in moments. Hence more tour dates being added this August and September. Twenty years later? Once again, bring it on. Listen to lead single 'Cinnamon' here. There's no rest for Scott Matthews. 'After his Spring' tour earlier this year culminated in a sell-out show in Sheffield, the Ivor Novello-winning songwriter has announced new tour dates for this Autumn. Beginning in York and reaching out to places that might normally be left off the map, this 15-date UK tour is a second chance for those that missed Mathews first time around in 2018. Also, the brilliant Jasmine Rodgers and Ady Johnson have been announced as support for selected shows, details on which can be found, here. The full list of dates announced can be found here. Scott Matthews’ latest record, 'The Great Untold', deserves to be a career defining one. The sixth studio album by the Ivor Novello Award-winning singer-songwriter (Best Song Musically & Lyrically for “Elusive”) is a master class in honesty, instinct and reflection. A largely acoustic recording, Matthews’ new record features sparse production after being recorded over a productive winter at home. His ten-song cycle is the sound of a man now entirely comfortable in his own skin, putting his neck on the line with a collection of quietly extraordinary songs. The point is to make a connection. “I want to move somebody with the power of moods and music.” It is in the right hands. And that’s an opposite description for The Great Untold. It is a record written by a man at the peak of his powers – 'As The Day Passes', 'Something Real', 'Song To A Wallflower' and the stunning 'Cinnamon' are amongst the finest in his songbook – and by a musician able to channel great beauty in songs that reveal the most human of truths. Fresh from a typically raucous and sweaty week in Austin, Texas for SXSW where the band played for DIY, BBC 6Music & Fluffer Pit, LIFE announce their return with the anthemic and frenetic 'Grown Up', their first new material since last year’s breakthrough debut album “Popular Music”. 'Grown Up', the first single to be taken from their forthcoming LP, is a pounding slice of muscular indie-rock that plays with the theme of adulting – the concept of stepping up to your responsibilities and behaving in a mature fashion - and sees the band hone in on a bigger and more focused sound. Hear/share the single here. Described by DIY as “an unhinged depiction of modern day punk”, LIFE’s anti-establishment outlook and witty, off-centre social commentary underscores everything they do. Very much the antithesis of all things London-centric, the band hail instead from the current City Of Culture, Hull, and tackle the new wave of youth and working class discontent with both savvy and style. Known for a strong community ethic, clever wordplay and energetic performances, ‘Popular Music’ made it onto BBC Radio 1’s best albums of the year list and gained multiple playlist adds on BBC6 Music. LIFE were also picked by the likes of DIY, Metro, So Young and Fred Perry Subculture as their ‘Ones to Watch’ at the start of last year and Steve Lamacq praised the band for being “...weirdly uncompromising and addictive” when placing lead single In Your Hands in his best of the year list. LIFE were also invited to perform a live session for Huw Stephens at Maida Vale and to play at Radio 1's Big Weekend, where they were the only unsigned act on the line up. Further live credentials include performances at SXSW, Reading & Leeds, Latitude, Reeperbahn and The Great Escape, as well as tours with Slaves, Nadine Shah and IDLES alongside significant headline shows of their own. 'Grown Up' is the vibrant sound of a band who’ve already achieved so much - on their own terms, no less - who are now taking their next big leap forwards. No growing pains here, then.